British Gas was the first company to introduce the DofE into its apprentice engineer training programme in 2006. In this time, over 2,200 British Gas apprentices have been supported to embark on their Gold Award and a further 1.5 million young people have been inspired to do their DofE, develop work-ready skills and get involved in volunteering. To mark ten years in partnership, British Gas made a year-long commitment in 2016 to raise UK employers’ awareness of the work-ready skills gained by DofE Award holders and inspire more young people to start their DofE. 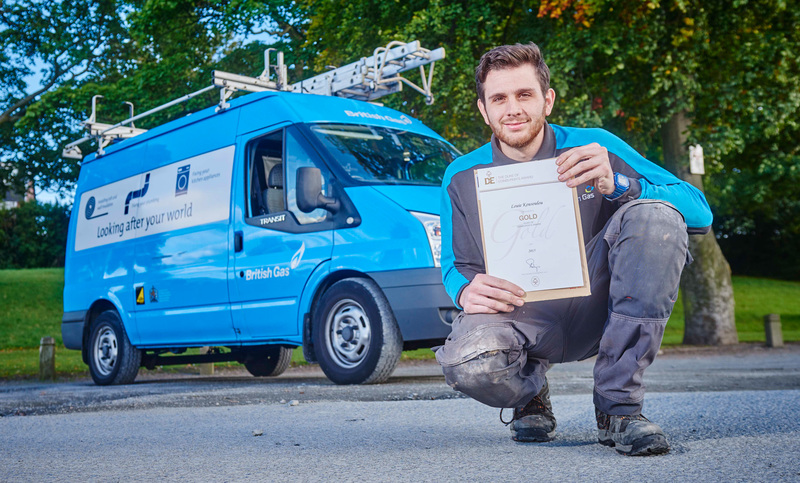 As part of their anniversary, British Gas acted as The Duke of Edinburgh’s Award’s Headline Diamond Partner for our ‘Skills for Work’ campaign. This collaboration helps encourage more schools, DofE delivery partners and businesses to support more young people through the world’s leading youth achievement award. “British Gas and the DofE will have been working together for ten years in 2016 and It’s a partnership we continue to value immensely. The DofE develops the skills we look for in our employees like initiative and a determination to learn and progress. It also helps our new recruits to relate to our customers and their lives through the time they spend volunteering in the community – vitally important in a customer focused business like ours.